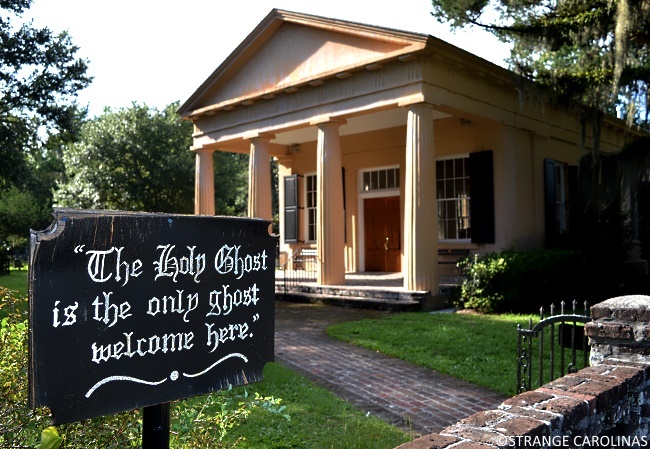 All Saints Church boasts ideal conditions for a haunting: an old cemetery, Spanish Moss hanging in the trees, and a rich urban legend. In 1800s Murrells Inlet, Alice Flagg lived with her mother and domineering brother, Dr. Allard Flagg, at The Hermitage plantation. Alice fell in love with someone her brother did not approve of. The man proposed to Alice and gave her a ring, which she wore around her neck on a ribbon to avoid her brother's suspicion. Although he was unaware of his sister's engagement, Dr. Flagg made Alice attend school in Charleston in the hopes she would forget about the young man. 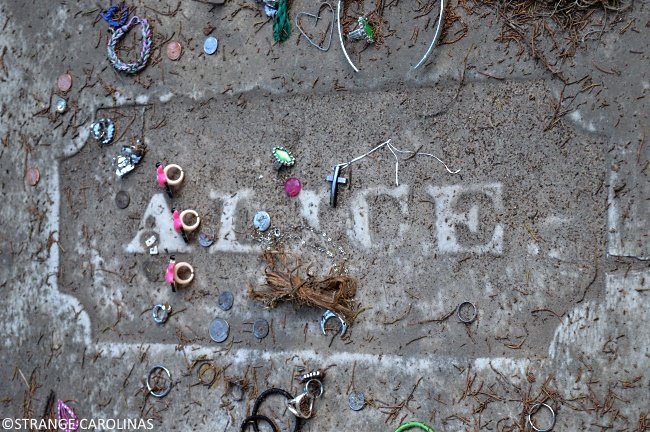 It was in Charleston that Alice succumbed to what many believe now was malaria. She was brought back home to the family home in Murrells Inlet. 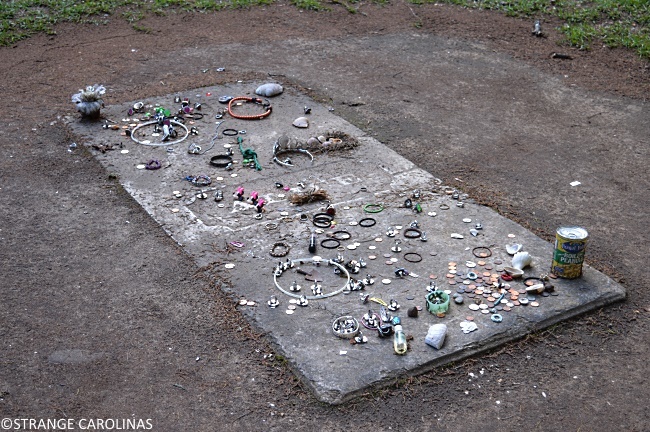 While examining her, Dr. Flagg found the ring around her neck and threw it into the woods. Alice died a few days later but she did not go peacefully. 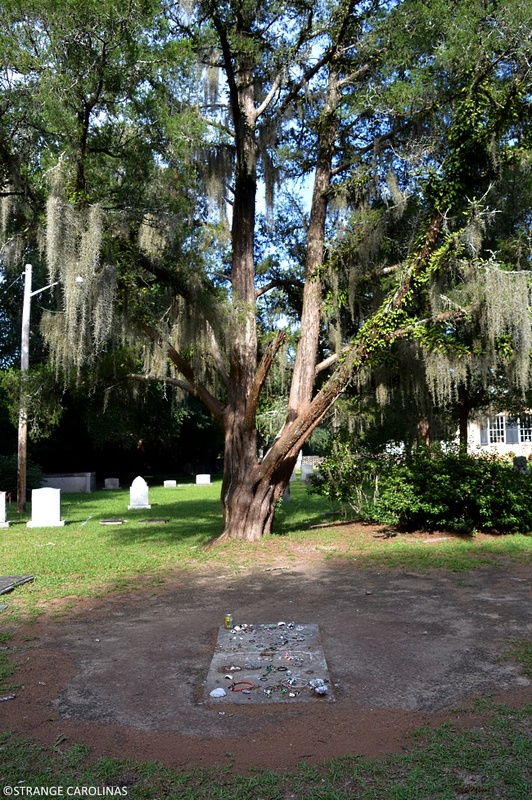 To this day, people say Alice haunts both Hermitage in Murrells Inlet and her grave in Pawleys Island, looking for the ring given to her by her beloved. So we decided to see if we could make Alice appear. We were told that the best chances of a sighting happen at night, but we couldn't fit a night visit in our schedule. Instead, we went the same day Honeymoon From Hell, a movie based on her life, premiered on Lifetime, figuring that would make her good and agitated. 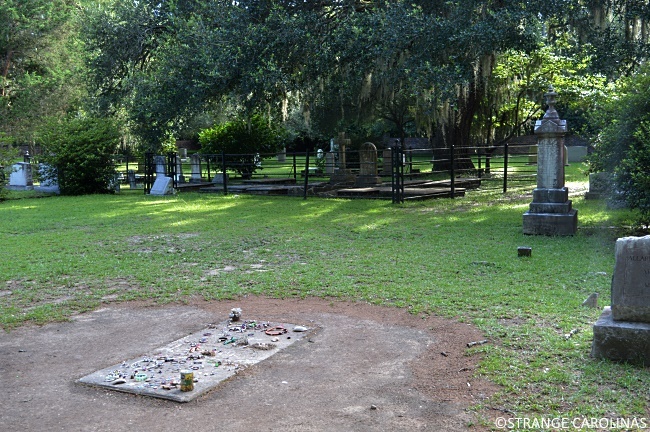 We walked backwards around her grave thirteen times and put a ring on her gravestone, although by the looks of things, people also believe coins, ribbons, glow bracelets, and cans of beans also work. Nothing happened. We waited a few minutes. Dejected, we paid our respects to Alice and headed back to the car. Not even the threat of a Lifetime movie sullying her legend would bring Alice out that day.